The medical doll allows visitors of the MED labor to try out examination methods of a pediatrician. 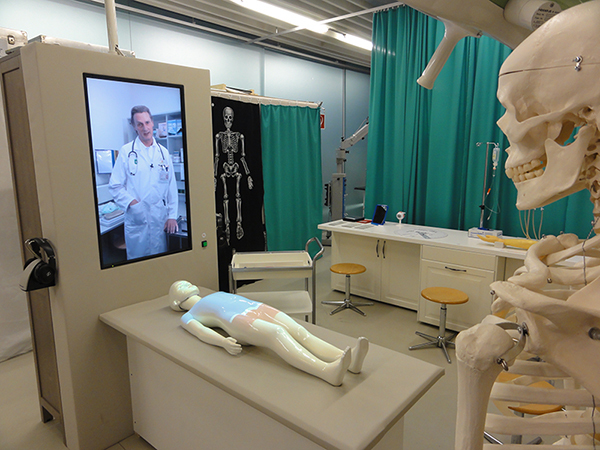 A doll in the size of a child, which is equipped with different sensors and RFID readers, lies on an examining table. The doll responds to provided medical items, like a stethoscope, otoscope or magnifier. At the beginning of every sequence, the doll explains with kind of pain it feels. 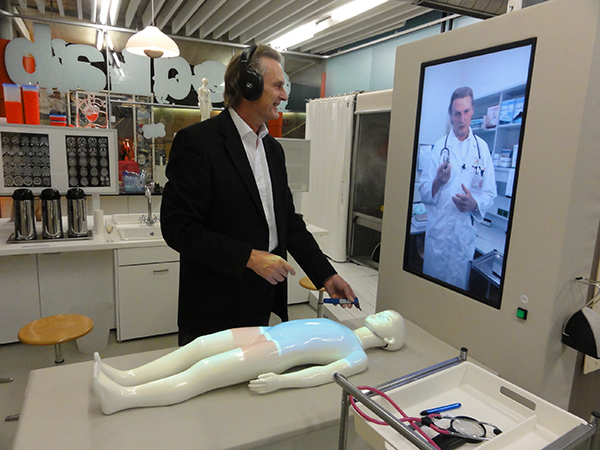 The visitors search for the right instrument and treat the interactive doll at the right spot. A physician explains the disease of the doll and the its therapy.